Slippers just like the photo of the store. Size 24 took 7.5. Come, but once it's slippers, one half size larger. Excellent slippers. Very warm, beautiful, good quality. I just made a mistake with. It was not enough. Great store. Recommend. Good slippers ordered several times. warm, lightweight, beautiful. Very satisfied with the purchase. Slippers cool, soft and comfortable on the leg. Warm. Track is monitored. Seller and shop recommend. Excellent slippers! Delivery in about a month. The whole package, no problem. The slippers comfortable, pleasant. Delivery month, properly packaged, smell of excess, size fits took 8 foot size 24.5 cm-fits perfectly. Warm, picture corresponds to. Packed very well, color and size are the same. I really like, more than happy. 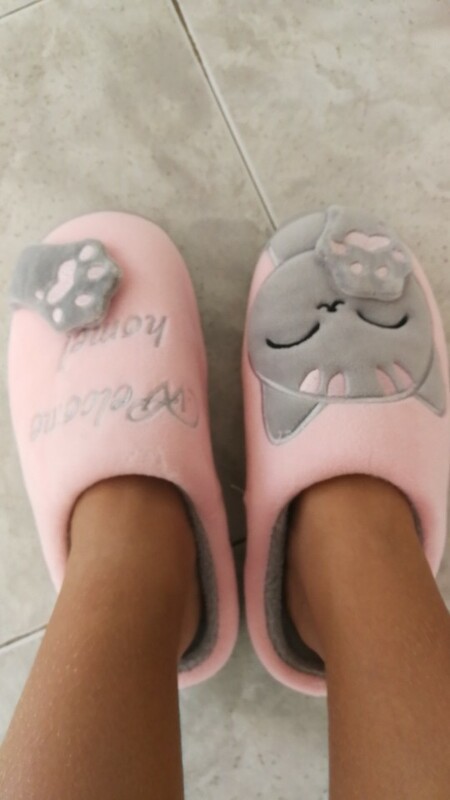 Very beautiful soft comfortable slippers. Eat quickly. Recommend store. excellent slippers. soft, comfortable. thanks to store. good goods. Slippers very nice and bright. cool slippers winter, warm, quality is good, it is necessary to take size fit all super.